the Daily Nosh » Football food! 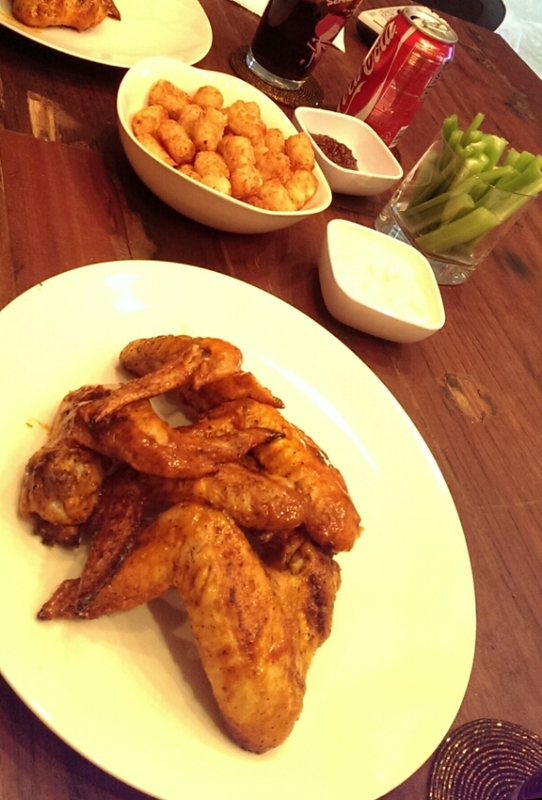 Wings, tots, celery, blue cheese, and coke. Ahhhh!